On a piece of scrap paper, write down all the groups of people that you want to pray regularly for. 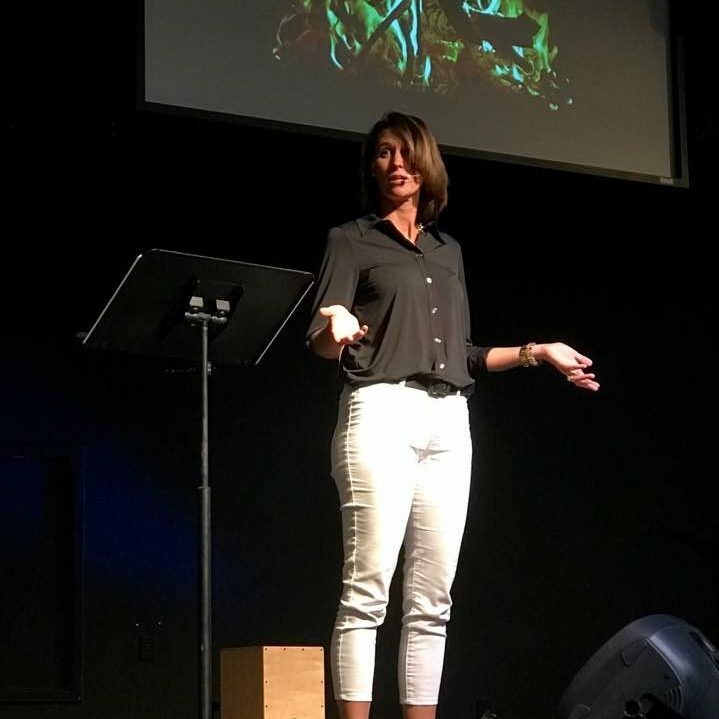 The list might include: immediate family (self, husband, kids), work or husband’s work, extended family, church, small group, Bible study group, friends, nonChristians/outreach/neighbors, sports teams, kid’s teachers and friends, missionaries, etc. Your list might be different. Think of them as circles of influence. Who are you willing to commit to praying regularly for? Now, how many days a week are you committed to having prayer time? In our group, we committed to five days a week. Fridays – My immediate family, including myself. Next we divided the journal into sections of roughly equal length, put tabs on the side for each day, and wrote “Friday – Our Family” or whatever. There’s also the Emergency 911 page. 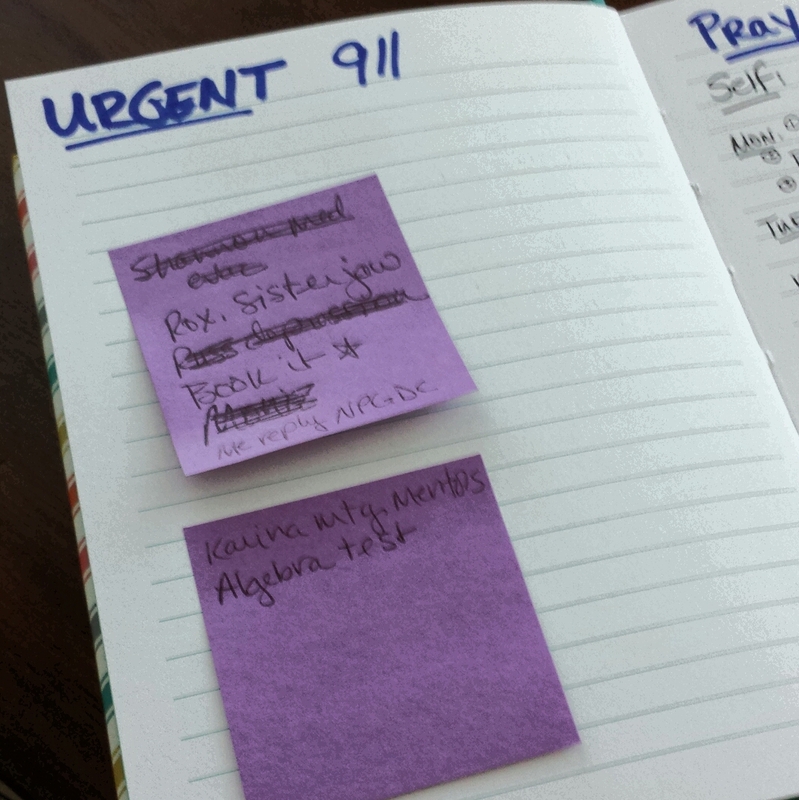 In the front of my prayer journal I keep an Urgent Prayers page. I don’t write on the page – I use sticky notes. If it’s urgent, I hope it’s not permanent, and in a few days, when the note is full, I can either quit praying about it (ie. Algebra test), or move it to a more permanent section of the journal. So on a Friday morning, I sit down with my coffee and I cover the Urgent 911 prayers. Then I flip to the Friday section and pray through the list for my family. I date the request on the left, keep the request to one liner, and write a date on the right side of the page when the issue is resolved. Later, when the journal gets fuller, I will probably start at the back of the section and work my way forward, praying for everything that has not yet been answered. I also encourage writing verses in your prayer book, claiming them (and highlighting them!). I also tape prayers, photocopied bits, and good quotes inside. What a priceless treasure it is to hold a prayer journal that is several years old… I can see instantly how God has been so incredibly faithful, time after time. Praise Him!